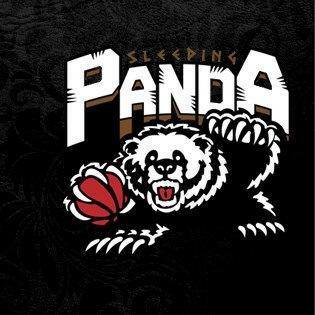 SLEEPING PANDAS is the defending champions of last years A+ Division. They have an excellent back court with last years Menehunes All Tournament team Karlo Galvez and Harris Javier. They've emerged as one of the top teams around the the inland valley area due to there talented rosters. John Panda Yuan is the teams general manager that had some last minute add-ons to make his team a more competitive one in this years tournament. Karlo Galvez - FIlipino - 5'8"
Harris Javier - Filipino - 5'9"
Eric JJ Cheng - Chinese - 6'0"
Chris Chi - Chinese - 5'9"
Simon Lo - Taiwanese - 6'5"
Joseph Dionisio - Filipino - 5'8"
Cam Lew - Chinese - 5'8"
Gerad Chin - Chinese - 5'9"
James Chang - Chinese - 6'2"
John Yuan - Chinese - 5'7"
*approved by Menehunes committee, birth certificate and parents passports showed proof. The Tumakbo United team is one to reckon with. Big in the Filipino American community, George Quitoriano is making a name for his basketball organization "Tumakbo United" with associations to other basketball organizations. The Fil-Am have always been very passionate about basketball and it definitely shows by the turnout to there tournaments. Tumakbo ended the 2013 Tournament on a strong note by winning the consolation championship. There roster has gained a few new guys that are definitely talented. They have talented and skilled guards and crafty big men. They will definitely be contenders for this years championship! The Davis Dynasty was started by Sean Liou, who has the passion for basketball, friendship, teamwork, and dedication to succeed, as there resume proves it. Stationed in Northern California, the Davis Dynasty team travels all over to compete in many of the top Asian American Basketball tournaments in the country such as LVI, Mofufus, NACBA, Barons, and now the Menehunes Invitational. Watch out for there excellent guard play as well as there big men who can step out and hit the 3 ball. This is a team with a lot of leaders and veterans out there on the court. Welcome Davis Dynasty to this years Menehunes Invitatioanl! Alpine Striders have a mix of veterans and younger guys, but don't overlook this team. The name on there chest speaks for itself. The Striders just recently won the A+ Tigers Tournament Champions. There style of play is shown by there legendary leader, Coach Tony Wong. They have some floor generals like legendary point guard Kenny Phan, who can set up anyone out there on the court for that perfect shot. It will be a high intensity game watching them play. The younger generation couldn't have a better coach to mentor, nurture, and teach them about life and basketball like Coach Tony Wong. This will be Alpine Striders second time playing in the Menehunes Invitational. Welcome back! Team iLLY is a team with a lot of upside to them, however expect the unknown. They have a history of playing in "X-League Nation" league in down town LA, and some of the players played in the Korean North American Invitationals. This is a new team that hasn't been in the regular Asian American tournaments but they are making a push to compete with the best of the best in this years tournament. Who knows what Captain James Hwang got up his sleeves for his teams debut. *Approved by Menehunes Committee, had played in A Friendship division which makes him qualified to participate in Asian divisions and has played in other Asian Tournaments. Refresh was the 2013 A Friendship Open Champions, but they make a jump to the A+ Gold division because of there dominance performance last year. They've accumulated an impressive resume: 2013 Menehunes Invitational A Friendship Champs, LA Ballers League Champs, Arcadia Basketball League Champs, PTBA Div 2 Champs, UCI NSU Tournament Champs, 2nd place in Drakes Tournament, and 2nd place in Pac Rim Open league. Refresh definitely has the team chemistry out there on the court. They have great ball movement to display there excellent range from behind the arc. They also have a great inside presence with there big men. Look out for a fast tempo and exciting game. They will definitely "Refresh'n" your day watching them! A+ Division, No current college playing players(should be in AA) or professional players allowed in A+ Division, or any skilled AA Caliber player should NOT be playing in A+. All Players must part Asian. To be considered Asian you must be born and is native from these countries: China, Hong Kong, Japan, Korea, Laos, Malaysia, Mongolia, Philippines, Singapore, Sri Lanka, Taiwan, Tajikistan, Thailand, and Vietnam. Or if you played in (NAU, Tigers Tournament, LVI Tournament) Or GRANDFATHERED in from playing in A Open Friendship division (Not higher than A+ skilled level, or has played in any NAU, VFW, MOFUFUS, ASIAN TOURNAMENTS, Tournament committee will determine that). Any exception will need to be approved by the Menehunes Committee. SATURDAY: A+ Division Games: 2-20minute Semistop quarters(stop on free-throws), last 15 seconds stop time for the first half, and last 2 minutes of the game for the 4th quarter will be full-stop time. (Clock does not stop on made baskets) 35 second shot-clock will be upon request. SUNDAY: Championship games ONLY will be SEMI-STOP. Full stop time the last 15 seconds of the first 3 quarters, and the last 2 minutes of the game. (Stop on EVERY whistle) (Clock does not stop on made baskets), 35 second shot clock will be enforced. SUNDAY: 3rd Place and 5th Place games: A+ division: 2-20 minute halves. Running time and clock will stop on the last 15 seconds of the first half, and last 2 minutes of the games, 35 Second shot clock will be enforced.